Um. I TOTALLY need to email you about the Girls Rock Camp. I would love to work with them. Email Emily Marks at emilymarksguitar@gmail.com Tell her I sent you. She'll hook you up. 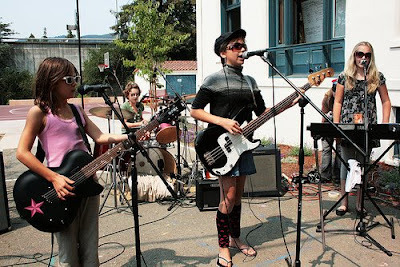 The Austin Rock Camp has been really successful in getting lots of girls from the East side and are always on the lookout for more women of color to get involved.